You can’t manage what you can’t measure. 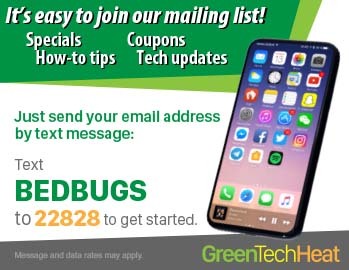 The Bed Bug Heat Treatment Field Guide identifies the thermal death point of many potential organism targets using portable GreenTech Heat propane bed bug heat treatment equipment or electrical bedbug heat treatment equipment. Recommended treatment temperatures and durations of exposure are located in the appendix. Keep in mind that all termite jobs require heating the wooden structural members to the lethal temperatures. 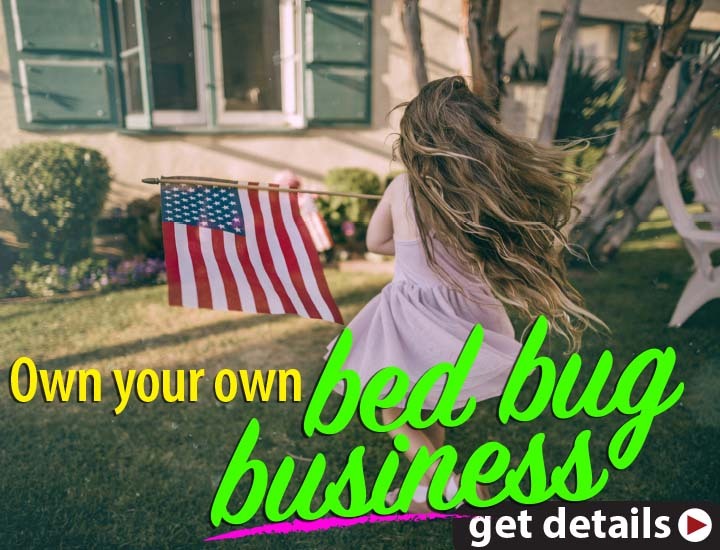 Bed bug treatments heat room contents and walls to the specified lethal temperature and require lower energized air temperatures to achieve lethal levels. Laboratory conditions provide ideal temperatures and perfectly are controlled by the scientist conducting the study. In the field where treatments are performed, conditions are not ideal. Consequently, temperature levels and exposure durations must be increased in order to achieve an efficacious bed bug heat treatment. Multiple temperature probes should be used to measure the temperature of infested areas during a bed bug heat treatment. Probing in the areas that are hardest to heat will provide treatment temperature readings where the bedbugs are most likely to flee to escape the convected air. Remember that you do not ONLY probe infested areas during a heat treatment. Probing locations will vary depending on the organisms being treated as will difficult-to-heat locations, the materials that are being treated, the size of the treatment area, etc. For example, when heat treating for bed bugs, it would be appropriate to place a temperature probe in a laundry basket or in the middle of a pile of clothes. As a general rule, use one probe for every 200 square feet of treatment area after probing the difficult-to-heat locations, the infested areas and other areas that will help manage the treatment process. Temperature probes or thermocouples are thin wires consisting of two dissimilar metals which create a minute electrical current when joined together. The strength of this electrical current is influenced by temperature that is then measured and translated into temperature readings by a digital thermometer. 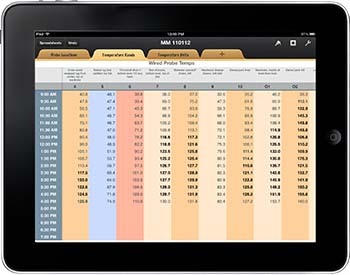 Remote wired temperature probes are also excellent tools that can transmit a temperature readout captured and recorded digitally. The recommended dosage for bed bugs is 140°F for two hours, measured in the coldest part of the structural construction. 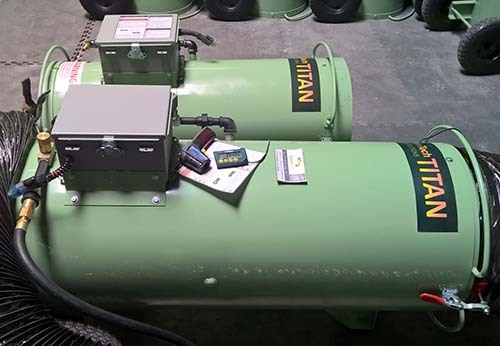 When the technician utilizes numerous temperature probes in the most difficult-to-heat locations and in the contaminated or infested areas, he or she will not need to guess whether a kill has been achieved throughout the treatment area. Thermocouples always need to be inserted into the most difficult-to-heat areas of a structure as well as areas of infestation or contamination. Because of the convected energies created by the GreenTech Heat electric and propane heaters, we do not recommend residents re-enter the property until temperatures have cooled to 85°F.